LoCATE (Local Community Archaeological Training and Equipment) is a partnership between archaeologists at BU and the New Forest National Park. 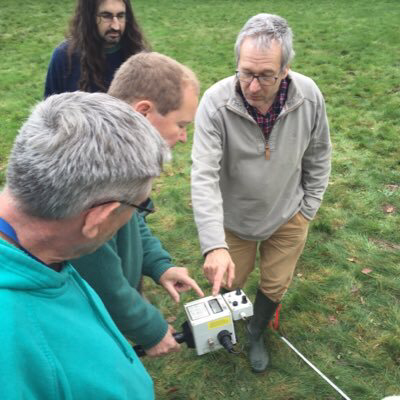 Working with archaeological societies and community groups from across Dorset and Hampshire the project provides access, training, and support to advanced survey equipment that would otherwise be hard to obtain. LoCATE aims to support the research that local groups already do by extending the range of techniques and skills they can use. Our goal is to work enable an even greater contribution to the understanding of the rich archaeological heritage of our region. Our first training day was held in the New Forest in December 2015 with 7 different groups represented. LoCATE is organised by a BU and affiliated researchers: Prof. Kate Welham, Paul Cheetham, Lawrence Shaw, and Hayley Roberts.